We offer the finest jewelry at competitive prices in a comfortable atmosphere. 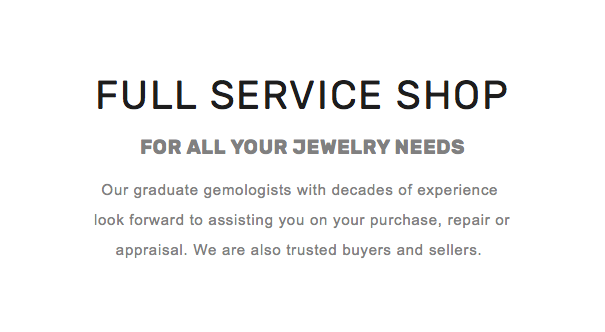 Our expert staff includes 4 GIA graduate gemologists, with decades of experience who look forward to assisting you on your purchase, repair, or appraisal. 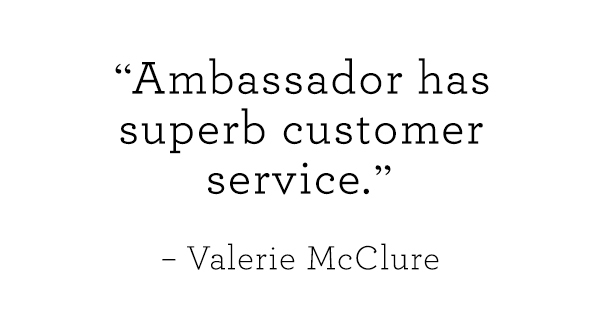 At Ambassador, we provide personal service and help you select jewelry you’ll love for years to come. © 2019 Ambassador Diamond Jewelers. All rights reserved.